Wood County is smaller county in the state of Texas. The elections department reached out to SOE Software during my employment there to design and build an elections centered website that portrayed unfiltered voter accessibility and voter-friendly transparency in hopes to increase voter awareness. Using Wood County's desired color palette, a design was created with subtle textures and an updated county seal, while utilizing the county's current branding. 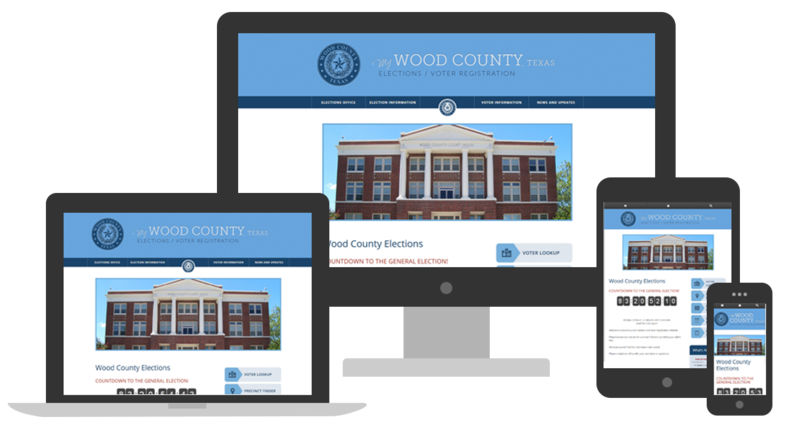 What was delivered is a clean website with quick access links to important voter information and a clear navigational system to help voters get the information they came for.